The history of Elena Krasnova is closely linked to the capital of France. 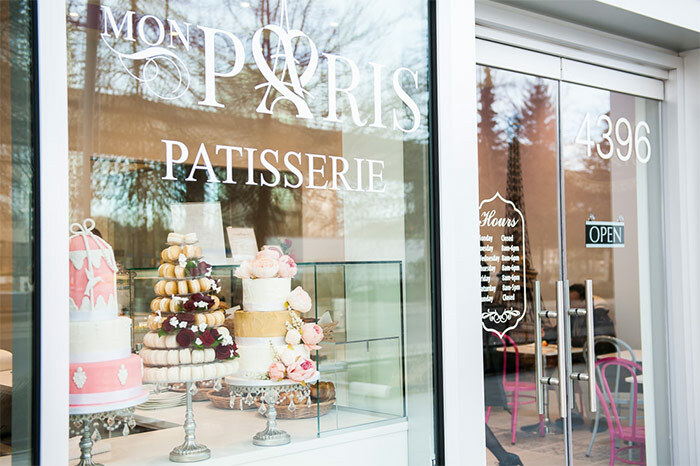 In spite of her Russian origin and living in Vancouver, Canada, it was in Paris that she would later discover her true passion, pastry, which took her to live there for some time to study and gain experience in some of the most prestigious workshops in the city of lights. 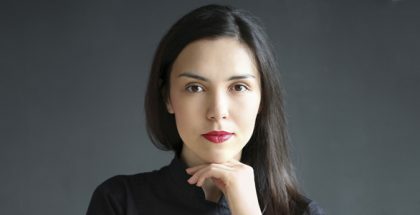 Since then, she set a goal, to have her own pastry shop, something she was able to do a few months ago after a career in Consulting in which her popularity in the Canadian media increased. 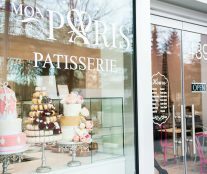 Mon Paris Patisserie is located in a new area of Vancouver that is experiencing great dynamism. 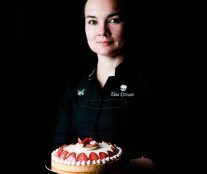 Although that does not mean that the opening of this pastry shop has not meant a great sacrifice for Elena Krasnova, who has had to work hard to create the business of her dreams from scratch. Today it is a palpable reality, which more and more neighbors of the area enjoy, but that needs considerable taxiing and a route before taking off and becoming the means of life that its founder has set as an objective. 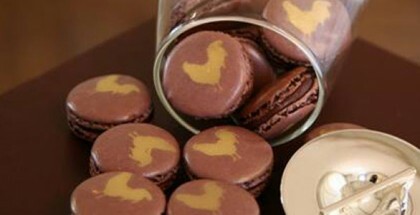 From the repertoire of Mon Paris Patisserie, the popularity of the bonbons, with intense and clear flavors, stands out. Of the rest of its varied production, the star of the cakes is the Opera with chocolate and coffee as the protagonists of flavor. 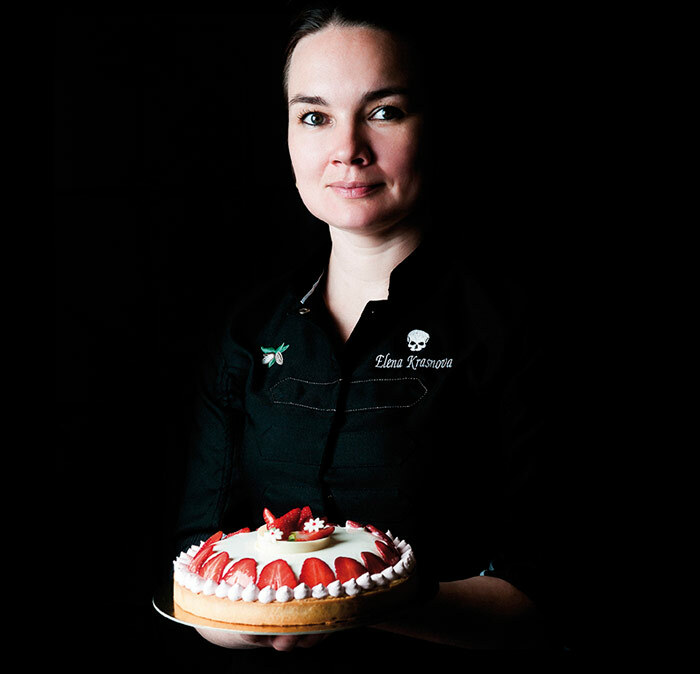 Russia, France, and Canada have marked this chef’s career, which reflects her personality in her products closely following the French pastry tradition and committing herself to the use of top quality ingredients. The objective is to open every day with a fresh and full production of flavors, with the least amount of sweetness and fat possible. Also, obviously, there is a will to set her own style, evident in the two petit gateaux she shares with us. 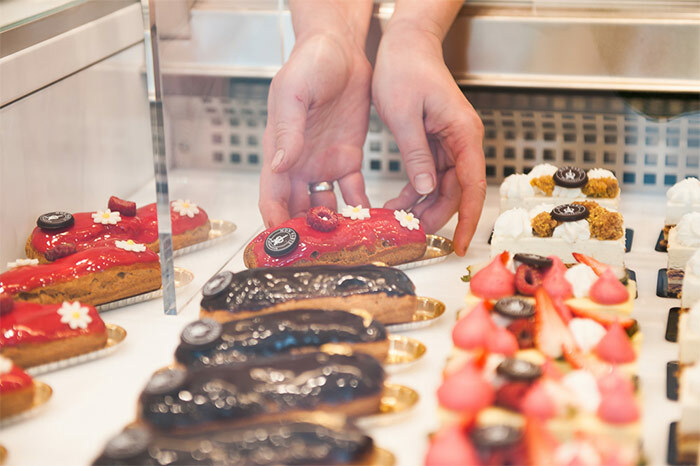 How was the experience of opening your own pastry shop? It has been a truly adventure all the way from finding the right place, then building the shop from scratch, developing menu and finally being open! To tell the truth I was very worried at the beginning asking: what if people would not come, what if they don’t like what I offer. But since we opened up it has been such a great success! We had a great acceptance in the community! I feel so many grateful for the returning clients! I really wanted to take my path and create something that is close to my heart, follow my dream. And that is why the name “Mon Paris“ has been chosen. 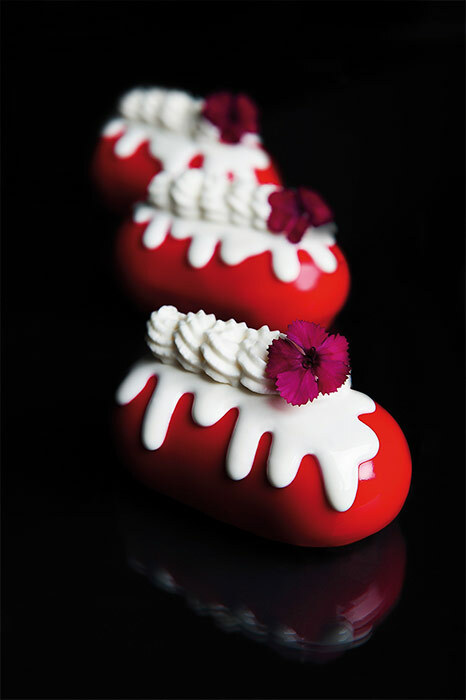 Paris is the city that inspired me to change my career over five years ago and become a pastry chef. I learned everything from it and I gained incredible experience that helped me to open my shop. 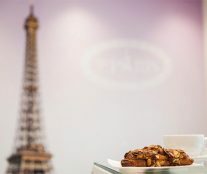 Our pastry shop is inspired by Paris. 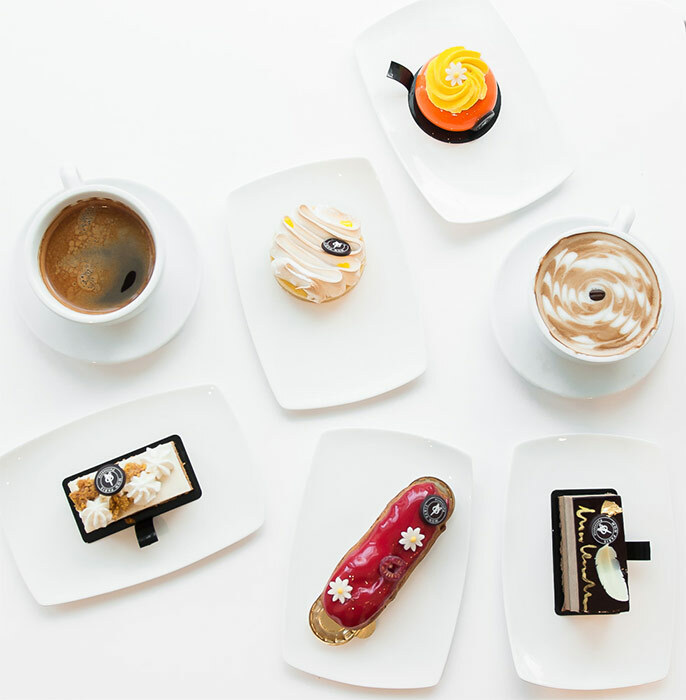 Everything from decor to packaging to display that we fill every day with fresh pastries. Despite being open for a few months only, how were the first steps? The work is extremely hard. I am working 12-14 hours every day since we opened and without any pay. But this is something that every new cafe owner should be ready for. Sometimes you feel so tired you don’t know how to work next day. But when you do what you love that inspires and empowers you and gives you hope for the future. 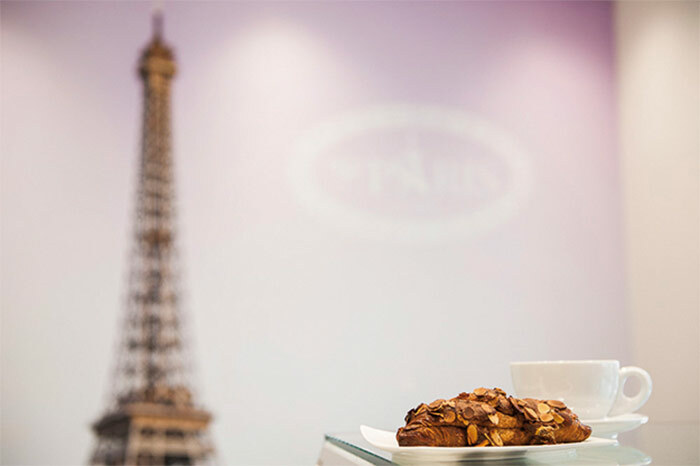 Which are the star products in Mon Paris? In terms of the most popular desserts: I have to say our chocolates are very exceptional. We do very modern bright designed bonbons with intense flavors. It is a huge hit! 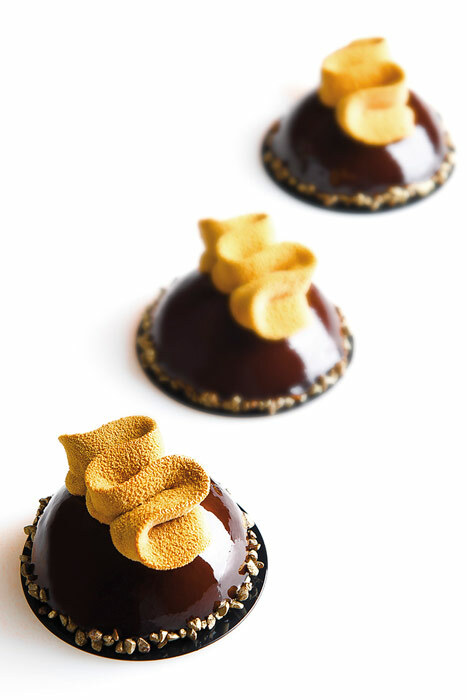 Also our few best sellers: Opera cake – which is dark chocolate mousse and coffee cream. It was an absolute favorite since the day we opened. How would you define your pastry? My philosophy is to use fresh and best ingredients in order to deliver best quality. 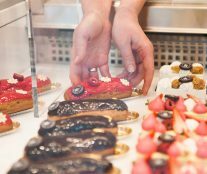 I’m particularly interested in the great classics of French patisserie, and I also incorporate specialties from the Russian pastry. I try to give these classics a modern approach through small details. Besides, we have to bear in mind that we eat with our eyes first, although we should not disappoint our palate afterwards.